SO COOL! 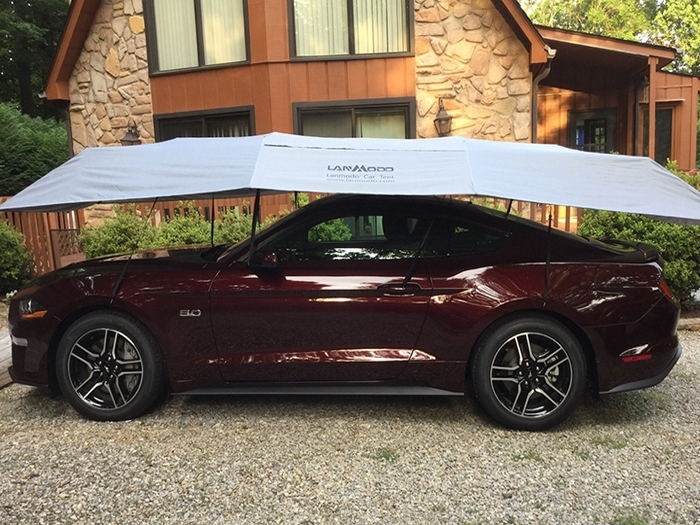 LANMODO CAR TENT IS A GOOD PROTECTOR FOR CAR! 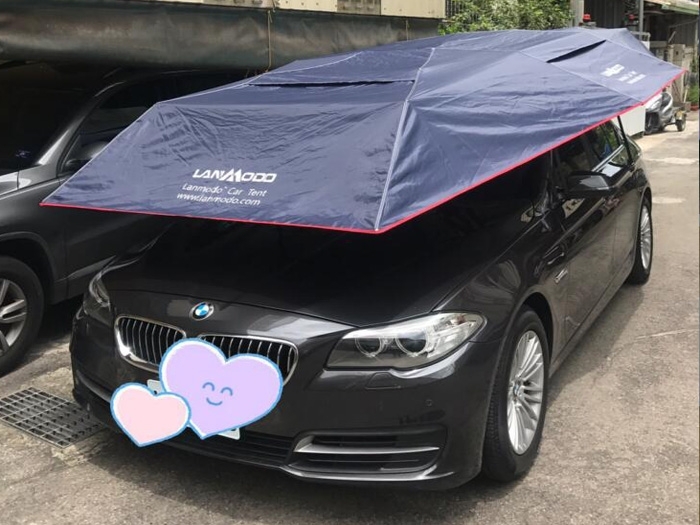 There is no any covered parking lot near my company, so I want to go for a car cover to shield my car as the summer is very hot, but my best friend recommended Lanmodo car umbrella to me as it is portble and works well in hot weather. 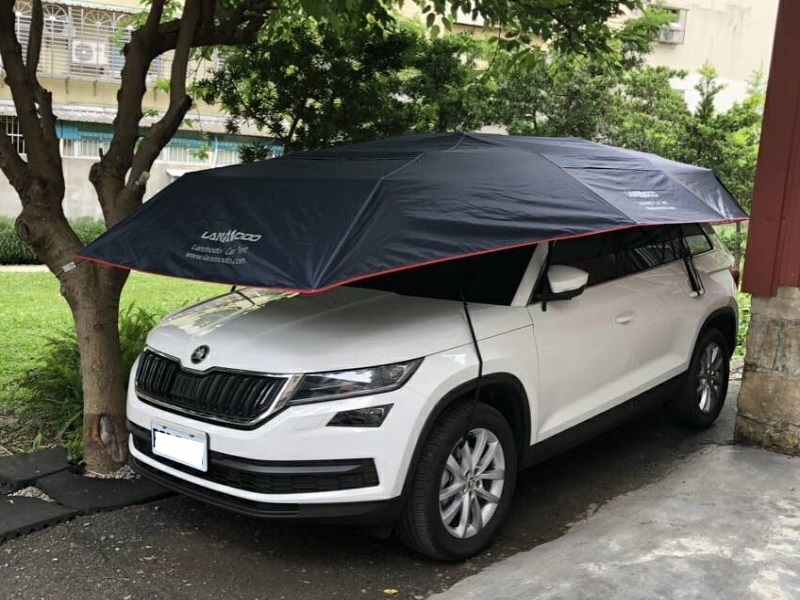 I just got this car umbrella last week and so far it works well. Well, I think it will be a good partner for my new car. The car tent is big enough to prevent fallen leaves falling on my car. 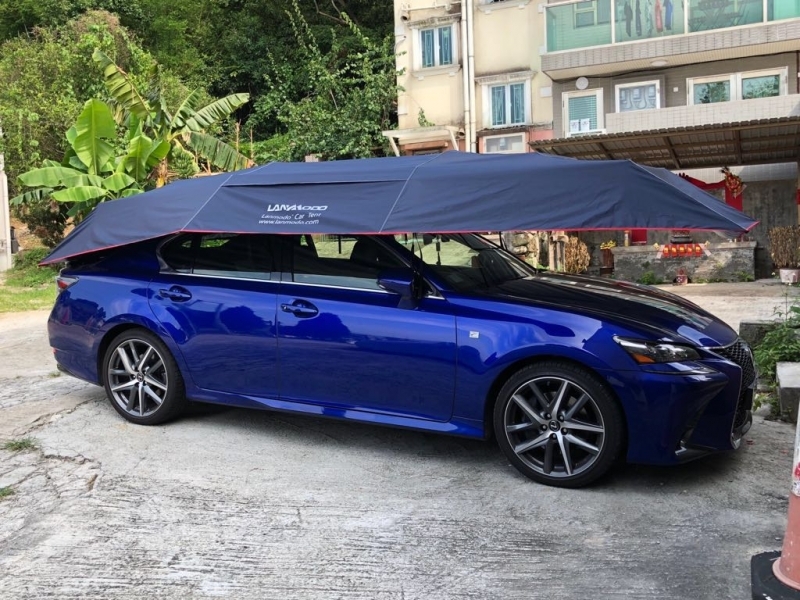 I just bought the semi-auto car tent from Lanmodo and placed it on my car, looks nice, hope it can protect my car well! 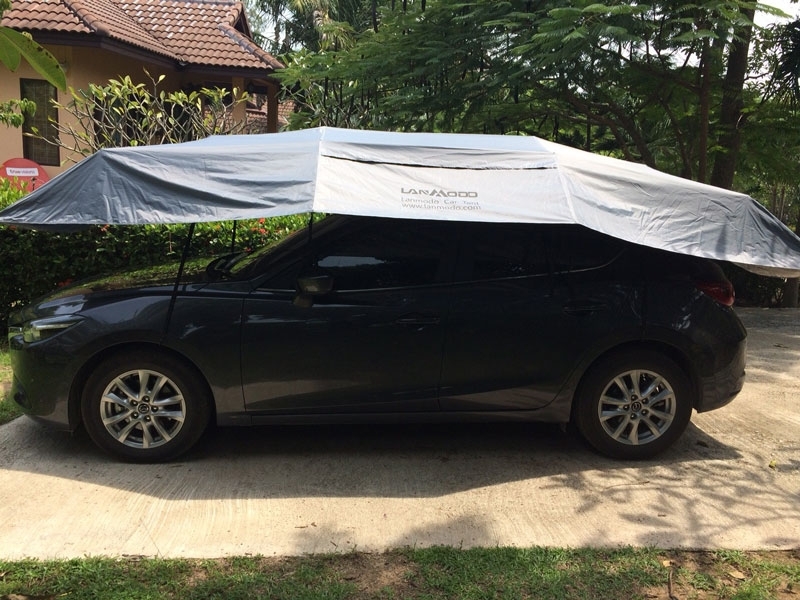 The strong suction cup and 8 windproof straps make the car tent stable on the car roof. My car now is safe from rainwater and fallen leaves. 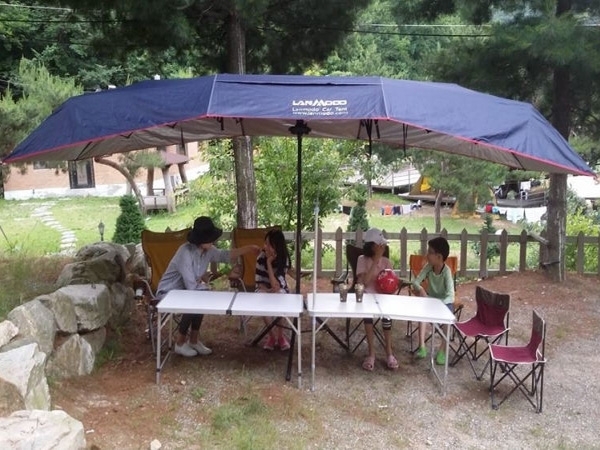 Lanmodo car tent must be a good sun shade for my car in this summer. 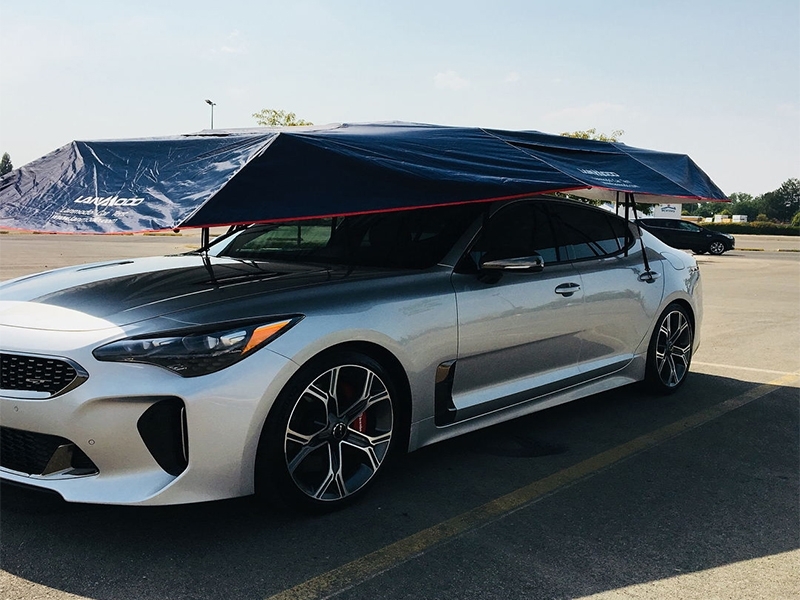 Easily turn the car tent a perfect yard umbrella. 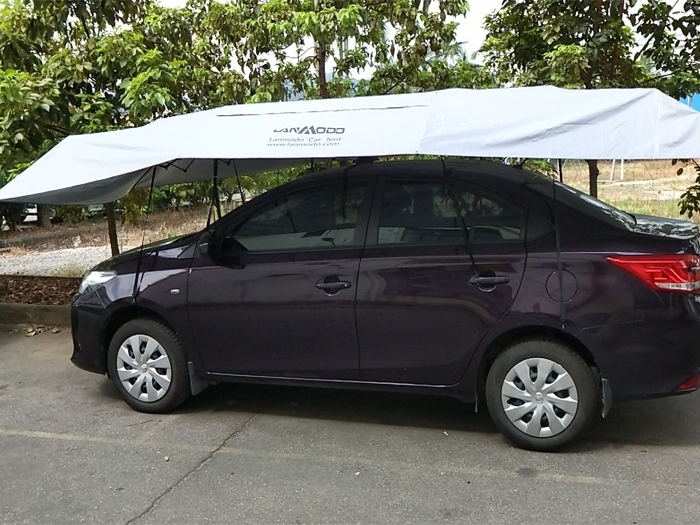 Lanmodo car sun shade is like a movable garage. I can use it to shelter my car anytime. 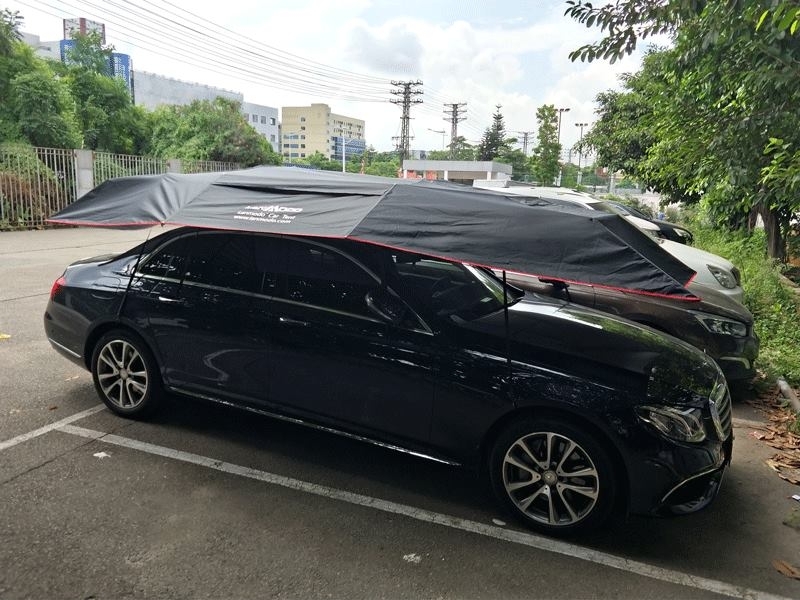 Trust me, the big car umbrella functions well in hot weather. Awsome! 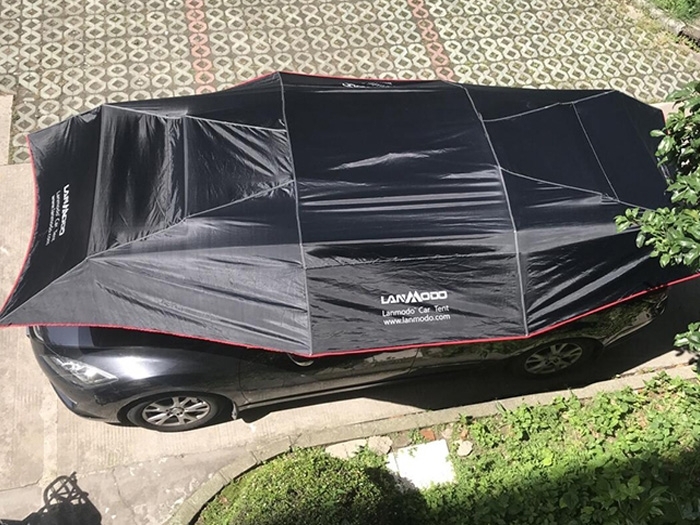 The Lamodo Pro can fully shelter my car, no worry about the hot sun and bird droppings damage it.